Hans Mezger, the porsche engineering genius who designed the 901/911 engine and the Porsche 917 was responsible for the brilliant F1 Porsche TAG Turbo engine. 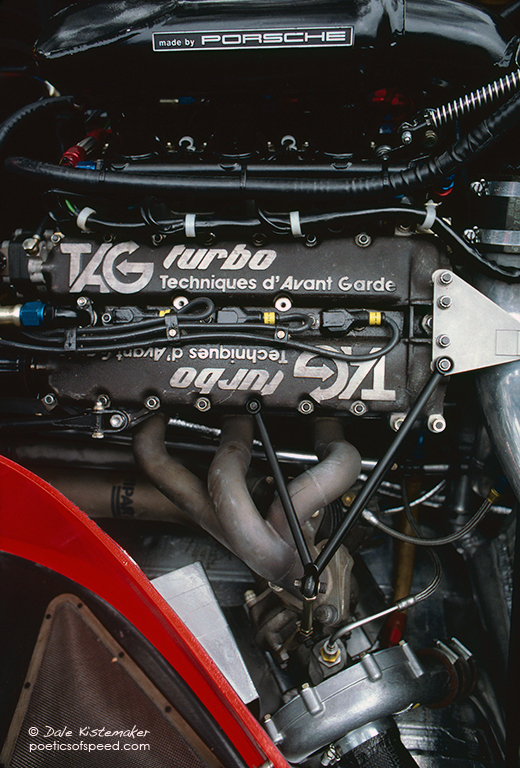 The project began in 1981 and the first running of the engine occured in 1983. The results speak for themselves with two constructor championships in 1984, 85, three drivers championships from 1984-86 and a total of 25 victories for McLaren between 1984-87. I highly recommend the compelling Porsche and Me: Hans Mezger with Peter Morgan, published in 2012 by PMM Books. It is a fascinating insight into Hans Metzger’s life, career with Porsche and the development of his landmark designs.